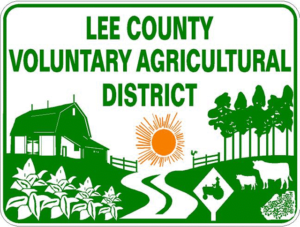 The purpose of Lee County’sVoluntary Agricultural District Ordinance is to encourage the preservation and protection of family farms, to increase the visibility of agricultural, forestry and horticultural operations and to protect and to promote these land uses. The Town of Broadway has a Memorandum of Understanding to develop mutually beneficial Voluntary Agricultural District Programs. An Agricultural Advisory Board has been appointed by the Lee County Commissioners to administer the program. N.C. Cooperative Extension in Lee County and Lee County Soil and Water District work closely with the Board in implementing the program. The “Application to Serve on Boards/Commissions” is posted on line at http://www.leecountync.gov/commissioners.